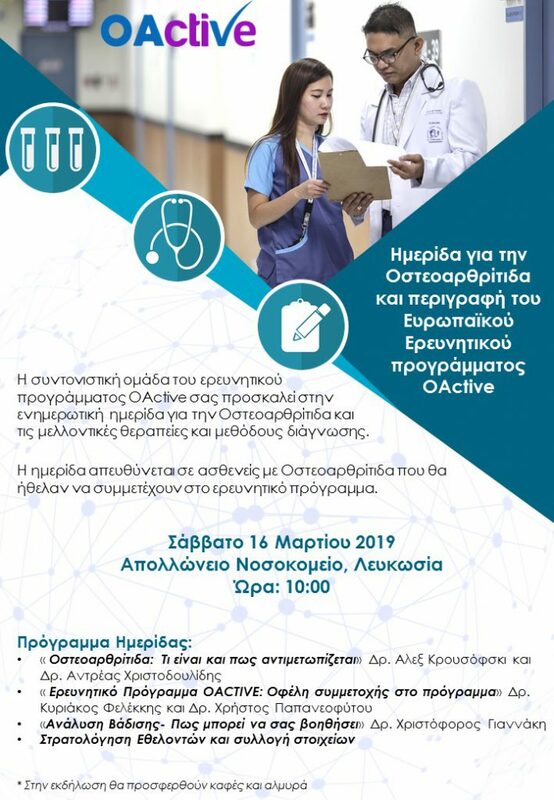 University of Nicosia, the coordinator of OActive project is organising a one day Workshop on Osteoarthritis dedicated to the description of the European Research Program OActive and will serve as a recruitment day for early stage patients and persons with high risk to present OA. The workshop will be hosted by Apollonion Private Hospital of Nicosia, on Saturday 16th of March. 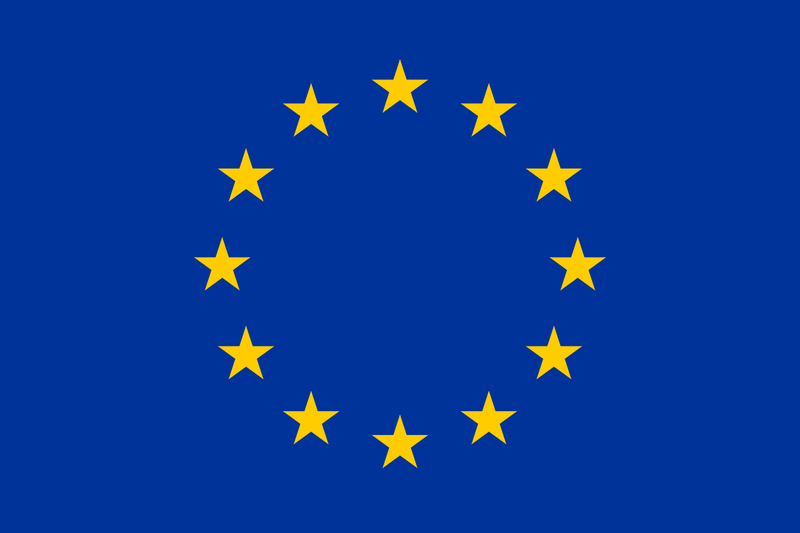 Future treatments and methods of diagnosis will be analysed, while the workshop agenda includes topics related to: 1. “Osteoarthritis: What is it and how it is treated?”, 2. “OActive Research Program: Benefits of Program Participation” and 3.”Walking Analysis – How it Can Help You”.